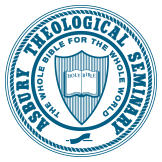 Asbury Seminary believes in the power of prayer and embraces the work of the Holy Spirit. This portion of our website allows you to share the needs in your life so that Asbury community can surround you with prayer. We want to pray with and for you. Whether your request is public or private, our students and staff are here to pray with you. Post your request online and see others join with you. Annually unite with believers around the world and those within the Asbury Community for a day of prayer and thanksgiving. The Soul Care Community provides pastors, counselors or anyone caring for others a community that equips and encourages from a distinctly Wesleyan perspective. Asbury for Life provides you with access to a variety of resources. We want to stay on the journey of life and ministry with you by offering ways you can connect with us for prayer, community, events and resources that will enable you to be a learner for life.